Everybody loves counters. Alan Findlay of Broken Ground Design makes some cool ones. Alan checks in with The 2 Half-Squads and discusses his gaming background and introduction to Squad Leader. Broken Ground Design makes an interesting mouse pad scenario pack as well as some beautiful color counters that are historically accurate. For my counter sheets, the price goal is $11/sheet, not $10 as I said in answer to your question. My original goal had been $10, but prior to starting the pre-order process I realized I needed to bump it up, and that is reflected in the advertised pricing. Also for the counter sheets, something I said could probably be understood in two very different ways. The number of counters for the German AFV/ordnance is 1,056 but that isn't the number of unique vehicles. There are approx. 150+/- unique AFV/ordnance. When I mentioned "no duplicates", I meant that no *sheet* appears twice". Very good interview. I need to go add to my order now. Very cool project. But Alan deserves all your Patron dollars this month. I don't have the FKaC or RS modules. 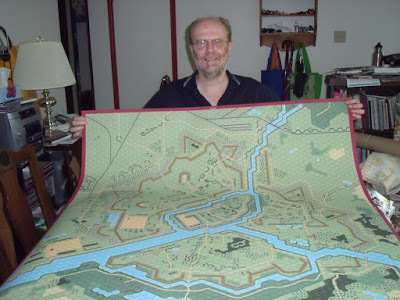 Can I buy allen's British and Japanese counters and play official MMP scenarios with those? Dave B, I don't have a Japanese set at the moment, but as long as you don't want to do any bridge-laying you should find my British set to be sufficient. Alan. Alan! Thanks for your kind words about our parody music here at Rally Phase Records. 'Epic' was very diplomatic of you. Usually people tell me thing like "Those parodies, and RPR's singing in particular, give me an emotional high!" Or "Pass the earplugs, PLEASE!" Or "Do you know you are talented - monotone and tone deaf at the very same time?!" Thanks so much for volunteering to be the back-up singer for us here at Rally Phase Records! I accept your challenge! In fact, I triple-dog-dare you to sing not just a back-up part, but a full-on parody. You've indicated that you are a bad singer much like myself. Ha! However, I feel that I must remind you that I am the only 5+2 SMC (Singing Man Counter) in the entire ASL counter mix for a reason. No one can sing worselyer, badderer or more offully off-key than I. Keep up the good work on your counter sets, btw. In fact, if you have some blanks you are looking to fill up, maybe a 1-4-9 or 5+2 named Cpl. Caterwaul? Oberst Offkey or even Major Monotone?